Capistrano Lights: Nightly Tree Lighting at 5 p.m.
Join us all month long for a new tradition! 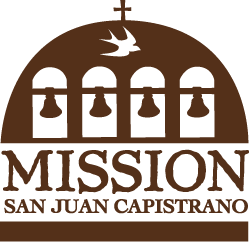 The Mission will host Capistrano Lights 2018: a nightly tree lighting at 5:00 p.m. The Mission’s new nightly lighting and music program will be held from December 2 through January 6, 2019. Guests must be on the grounds before closing at 5 p.m. to enjoy the lighting experience. Please join us in the Ruins of the Great Stone Church for a 15 minute music and lighting program. After the Mission closes, guests can take their complimentary downtown San Juan Capistrano map and discover the historic downtown district with plenty of holiday shopping, dining, and wine tasting all season long. The nightly tree lighting is free for Mission Members or with paid admission to the Mission.